What a year it has been. 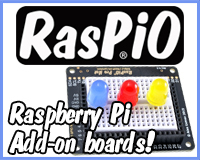 I’ve just been reviewing over 900 blog posts and 2014 has certainly taken us on a journey in the Pi world. 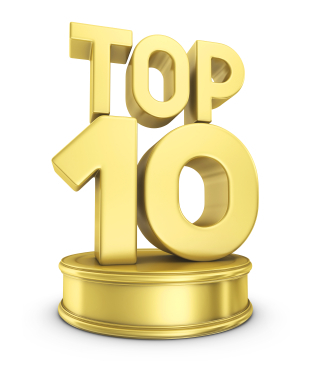 In this blog post, the first of 2015, I’ll review some of the trends and highlight some of the best posts over the last 12 months. Certainly, there’s been a fair share of larger Pi-related Kickstarters and IndieGoGos, such as the Pi-Top but the thing I’ve noticed this past year is a trend towards smaller projects with lower goals. Hap-Pi (the cardboard case and robot platform) was probably the first, in May, and since then we’ve had campaigns from MyPiFi (Paul Brown), Average Man (Richard Saville), the EduBoard, Andrew Gale (with his Christmas trees), Zachary Igielman (with his PiPiano), Tom Murray (with his SmartiPi) and Mark Williams (with his BerryIMU). It will be interesting to see if this trend continues into 2015. My hope is that the quality of the projects continues to improve. There’s been some good ones (most of which have succeeded) and some not-so-good ones, so here’s to a year of LCK – Less Crap Kickstarters (TM). 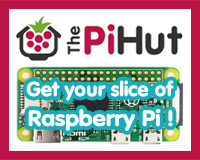 A fundraiser to help fund a solar-powered Pi lab for a South African school which eventually launched. This is more of a personal trend for me, but one worth looking at anyway. 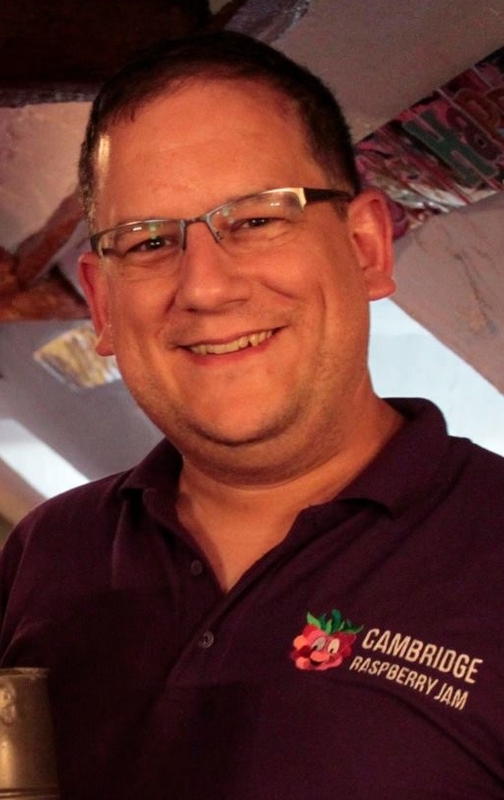 Myself and Tim Richardson have enjoyed great successes in 2014 with Cambridge Raspberry Jam and we hope to be able to deliver more of the same in 2015. We started off in February with what we like to call a ‘regular CamJam’. This was comprised of workshops in the meeting room, talks in the lecture theatre, show-and-tell on the mezzanine and, of course, our ever-popular Marketplace in the foyer. In May, we held a Jam entitled “Focus on Education”: a huge event with 200 people attending, including 75 teachers. We had show-and-tell as usual but a smaller Marketplace. We held a massive nine workshops on various different topics in the Meeting Room and Foyer whilst education-specific talks took place in the lecture theatre. We were overwhelmed with the positive reaction to this Jam and we are planning on holding another Focus on Education next year. The Jam in July was a smaller, less-attended affair that we think suffered from being too close to the summer holidays for a lot of people. It did, however, have an expanded Marketplace which visitors seemed to enjoy and we launched the CamJam EduKit, a low-cost beginners electronics kit. 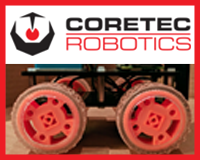 September saw a “Focus on Robotics”, with both talks and workshops designed to expand attendees’ knowledge of robotics concepts and practical skills. We welcomed a crew from CNBC who shot some footage and interviewed various people (including me!) and it was later broadcast on US television as part of a feature on Cambridge and the Raspberry Pi. And in December, of course, we launched the first ever Raspberry Pi robotics competition, Pi Wars, which has its own website. 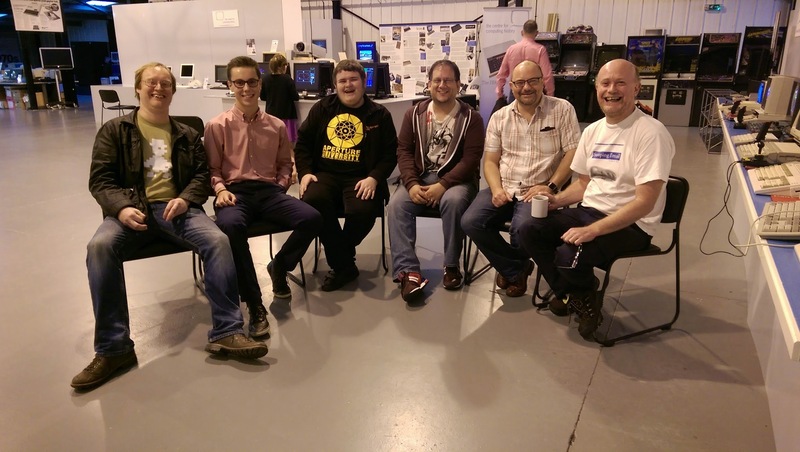 You can listen to a great podcast that was recorded at the event over at RasPi.Today and you can read a lot more about the event in this great write-up from the Raspberry Pi Foundation. 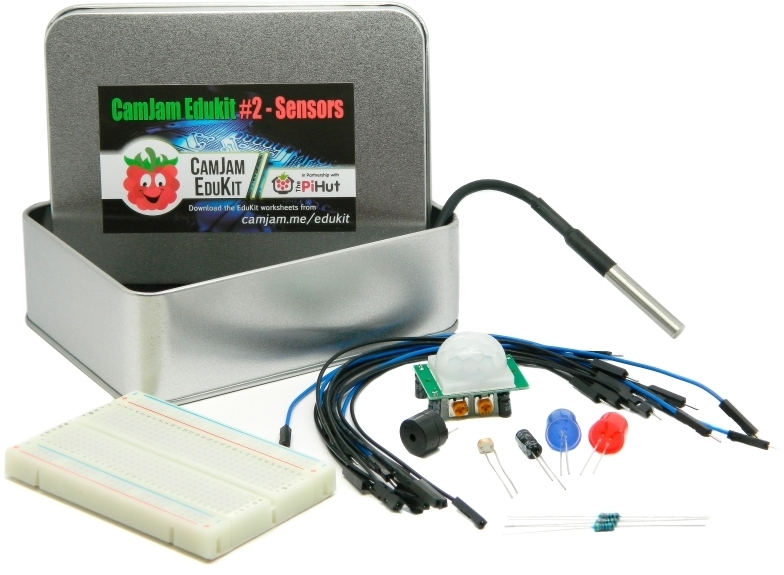 We also launched our second EduKit, which includes several sensors. 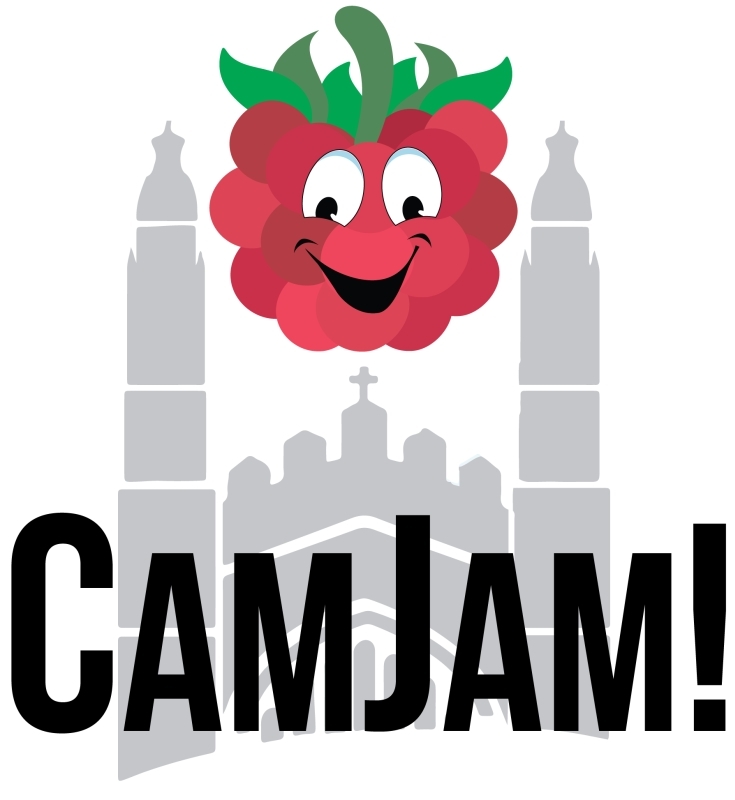 If you’d like to find out more about CamJam, please visit this website. You can also visit this YouTube channel which acts as a kind of ‘virtual CamJam’ and contains recordings of almost all the talks given at the Jams. Creation of videos to support the new look-and-feel. My favourite is the Johnny Ball one. Development of the Compute Module (see also this interview with Eben Upton) and its eventual launch at the end of June. Also in July, the Raspberry Pi Foundation website was converted into a mobile-compatible version. On 14th July, the Raspberry Pi model B+ was launched. You can listen to Eben Upton talk about the B+ in this recorded webinar. At the end of July, the Foundation opened up the Education Fund for applications. There is an interview with Lance Howarth about the fund here. Also in July, the Foundation began working on the development of a specification for specific +-shaped add-on boards, known as HATs. In August, Ben Nuttall embarked on a Grand Tour of the USA during which time he gave many talks. There is more coverage of the tour here and here. This was followed a couple of weeks later by a new release of Raspbian/NOOBS with Minecraft, Epiphany and Sonic Pi all pre-installed. In October, the Foundation board gained a new chairman – David Cleevely. Also in October, the Education team launched their own newsletter. 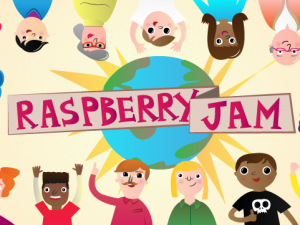 In mid-October, a new Raspberry Jam area was launched on the website. I’m particularly proud of this as I helped to write much of the text in that area, together with Ben Nuttall, at a three-day visit to their headquarters in Cambridge. 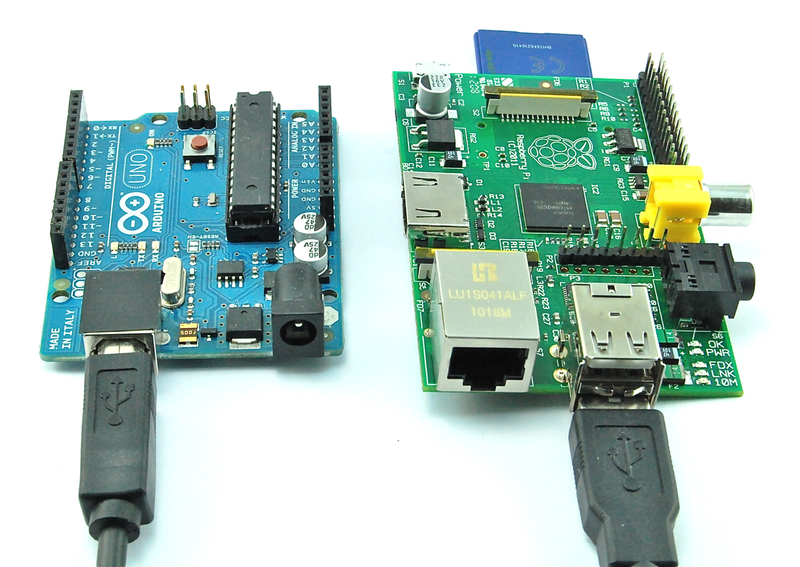 In early November, the much-awaited Raspberry Pi Model A+ was launched to much acclaim. Here’s an interview with Eben about the A+. In December, it was announced that the Pi would be going into orbit aboard the International Space Station. The project, called AstroPi, involves schools getting involved and proposing experiments to be run by the Pis onboard the station. And finally, just recently, a new version of the desktop environment was released. It started off on the 2nd January with an article from Linux User & Developer on adding streaming video to your robot and was followed by an explosion of robot-related activity. We’ve had a line-following self-balancing robot and, of course, Pi Borg’s enormous DoodleBorg (and its smaller companion the Diddyborg). But the thing that’s really struck me over the past twelve months is the growth in the accessibility of robotics boards and kits. 4tronix, in particular, positively swamped the market with robot controller boards and of course there was the brilliant budget robot kit from Ryan Walmsley which I spent a day with back in May. I should also mention the MeArm from Phenoptix which is a great little servo-controlled arm. At one point, with the closure of Phenoptix, I thought the product was dead, but Ben decided to keep the MeArm side going and you can still buy one. It’s good that he did because the MeArm has become incredibly popular and it’s another brilliant way of getting into robotics and control theory. Robotics, as the Raspberry Pi Guy is always reminding us, is a great way for kids to learn programming and electronics and with the Raspberry Pi being such a low-cost platform, there’s really no excuse not to explore and learn by getting hold of some bits and having a go! And, of course, there was Pi Wars in Cambridge. We’re hoping to do it again in 2015 so get learning now! 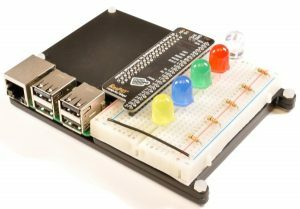 There have been so many blog posts in 2014 about using an Arduino with the Raspberry Pi, from expansion boards such as the Pi Co-Op and the RasPiO duino to programming the ATtiny from the Pi. 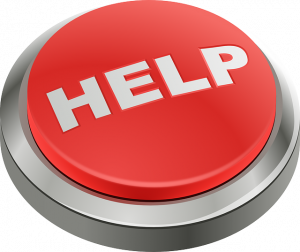 Here’s a link to a search for Arduino-related posts on my blog. The Arduino can add so many fantastic options in terms of input and output to the Pi and they really are perfect companions. It’s been really great hearing about the successes of Picademy at the Raspberry Pi Foundation. The first cohort joined the two-day scheme in mid-April (see this write-up of the first day from Sway Humphries) and this was followed throughout the year by additional groups, including one cohort that was taught at the Sony headquarters in Pencoed, Wales where the Pi is manufactured. 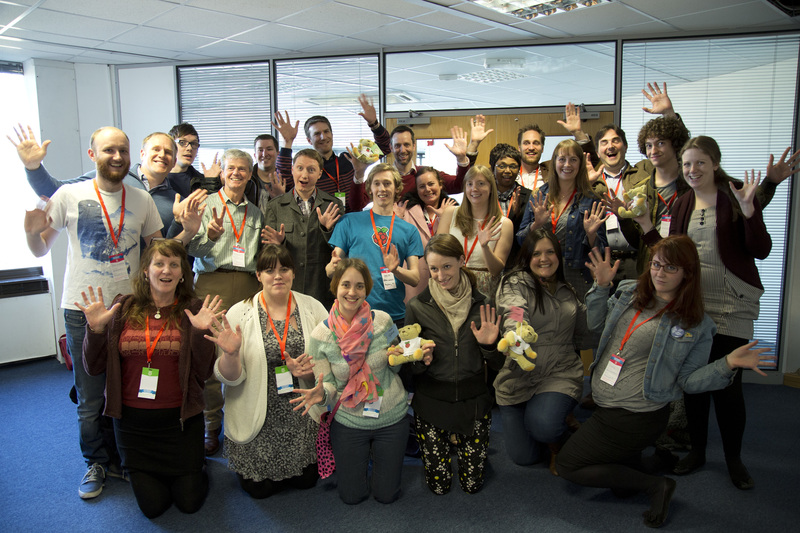 You can get a flavour of the Picademy by reading these write-ups from Lenny Dutton and Allen Heard and also from Clive Beale, who heads up the educational team. I applaud the Foundation for starting up Picademy and getting teachers trained up – it’s amazing that they’re able to offer it as free CPD (continued professional development) and I hope they continue to do it in 2015. There’s also been the development of Alan O’Donohoe’s Jam Packed initiative which aims to bring the Jam experience to more remote, under-privileged areas of the country. 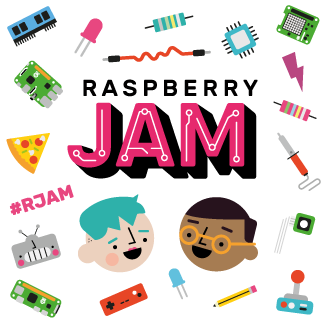 Jams are great fun and if you haven’t been to one yet, then I recommend keeping an eye on the official calendar for one in your area. The University of London’s Parkinson’s Disease experience in which the Pi is used to help people understand what it’s really like to have Parkinson’s. Matthew Timmons-Brown put together this brilliant 2 years of the Raspberry Pi video – it’s a montage, put to music, of dozens of projects and videos that he found. Alex Eames has collected all the different models of the Raspberry Pi and created, essentially, a museum of models. He’s now acquired the missing model so I’m sure he’ll publish a new photograph eventually! I’d just like to finish off this post by sharing with you the blessing of the friendships I’ve formed over the past year (or so). I’ve met some fantastic people in the Raspberry Pi community, both on Twitter and in person at Jams and other events, and it’s these friendships that keep me going and keep me out of the depression which frequently threatens to intrude. So, to those of you out there (and you know who you are! ), a big Thank You! from me to you. My top memory of the year is when a bunch of us got together at the Centre for Computing History and generally made a nuisance of ourselves. We had a picture taken to commemorate the event. Great stuff Mike! Stellar blog post like usual. Thanks for the mentions. Here’s to all of the great times in 2014! Absolutely loved this – happy new year, Mike, and here’s to a BRILLIANT 2015! What a great summary of 2014 – packed! Great stuff Michael. I sometimes wonder what kind of shelf life the Pi has amongst ever changing technology, competitors and general interest in coding/making…and this reminds me how this little computer isn’t going anywhere for a good while! Roll on 2015, I’m sure we’re going to see bigger and better projects yet! Not mentioning the MeArm was not a conscious decision on my part and I *should* have mentioned it. As far as I know, it was designed to work with both the Pi and the Arduino, and a quick Google finds a library to allow you to control all the servos from the Pi. I might even go back and add the MeArm to the blog post as I think it’s a great project/product from Ben Gray. Wow, all that in a year. I had the good fortune to attend #Picademy in October and have been enthusiastically flying the Raspberry flag ever since. Here’s to an even more successful and fun 2015!